10:30-11:30 - Athletes Lounge Check in Age-group. 11:00-11:45 - Transition area is open for Age-group. 11:30-11:45 - Swim warm up for Age-group. 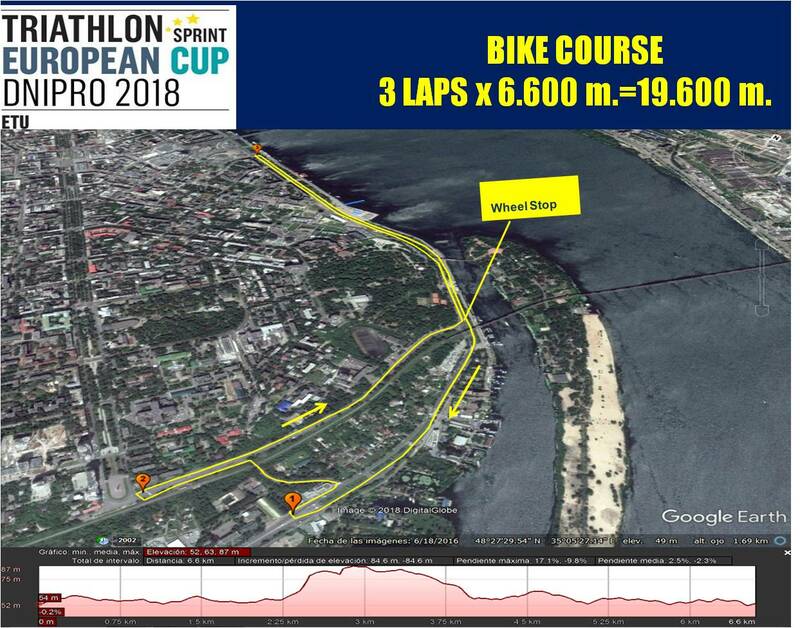 12:00 - Start Age-group in Olympic and Sprint Distance, Trial (Time limit for Age-group - 3,5 hours). 15:30-16:30 - Athletes Lounge Check in Women. 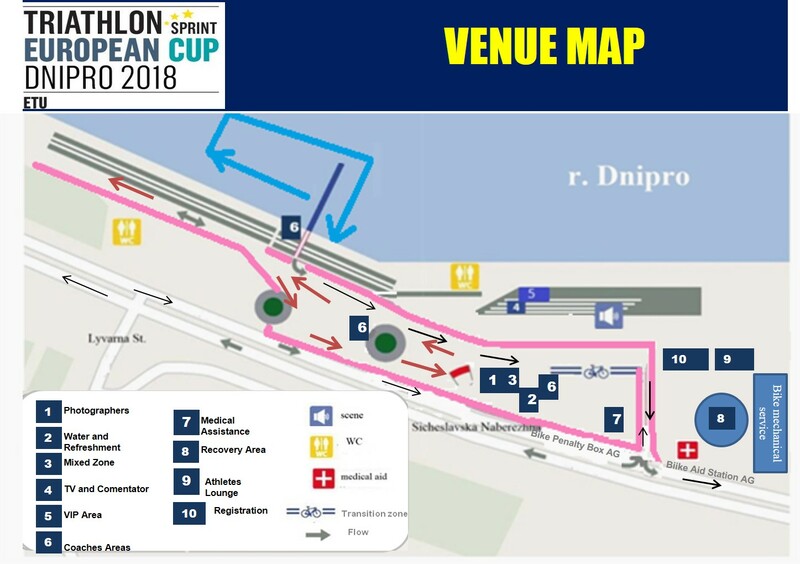 16:00-16:45 - Transition area is open for women and men. 16:15-16:45 - Swim warm up for women. 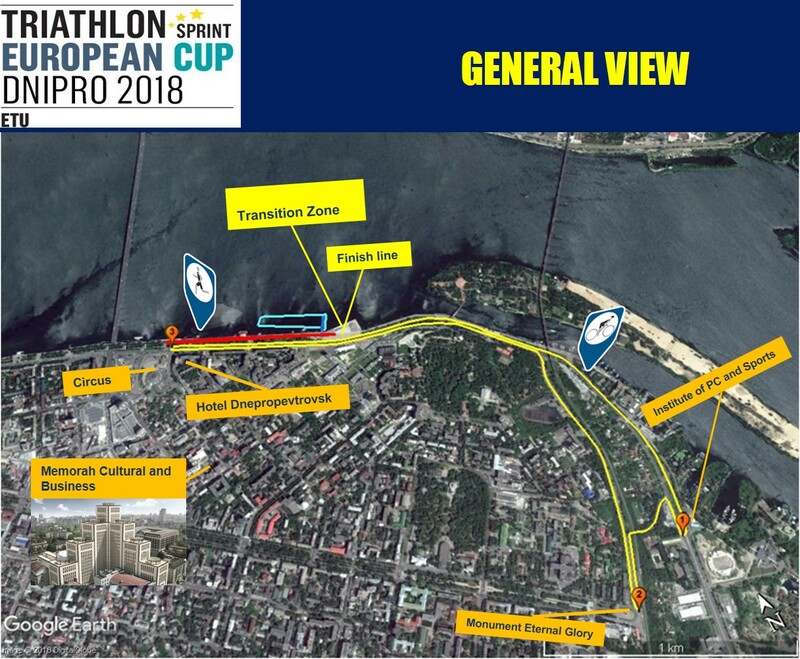 17:00 - Dnipro ETU Sprint Thriatlon European Cup - Women Start. 17:00-18:00 - Athletes Lounge Check in Men. 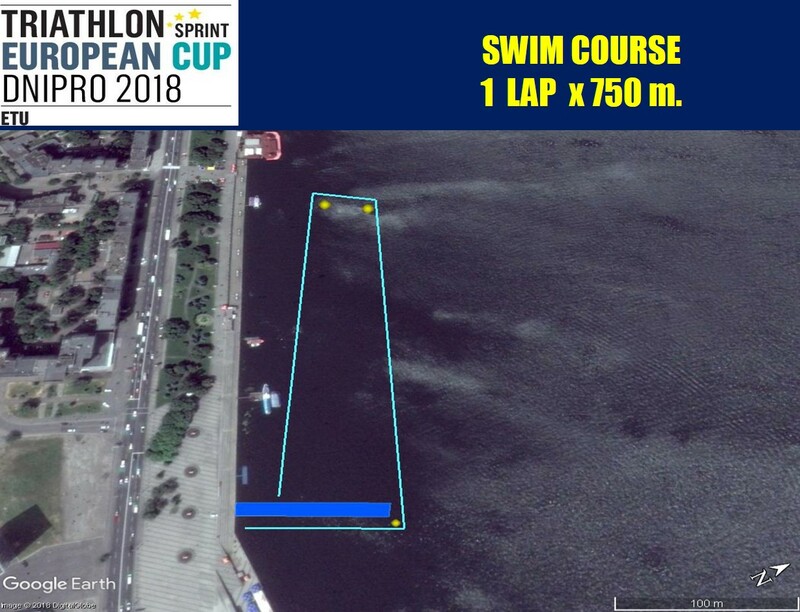 17:45-18:15 - Swim warm up for men. 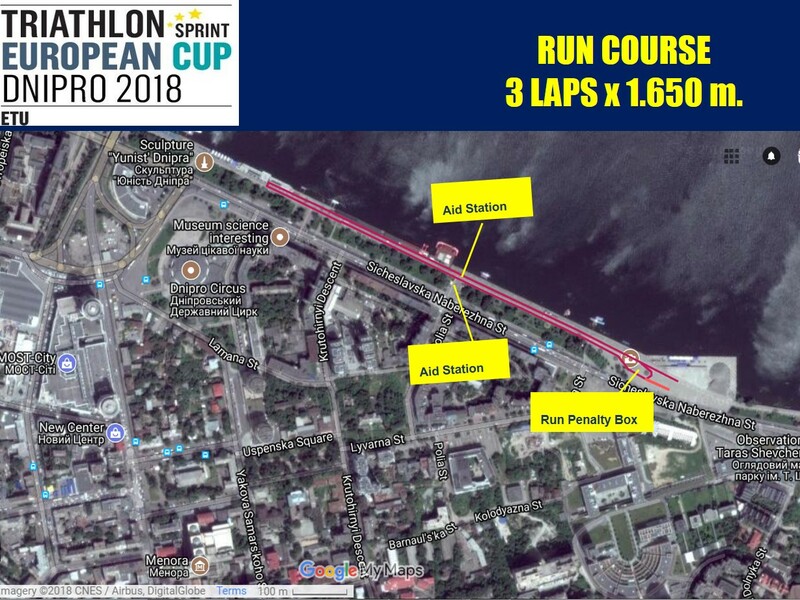 18:30 - Dnipro ETU Sprint Thriatlon European Cup - Men Start.